The Hashtag is one of the most useful Tools Twitter has given many of us. It is also where many new twitter users have many questions the hashtags use and purpose. For those of you who are not familiar with the hashtag term on twitter it is a word or united phrase that starts with the # Symbol. During the next few blog posts I will try to cover #hashtags from my perspective. I am going to start by sharing the 3 main uses of the hashtag! If I missed a main use of hashtags or any other feel free to add them in the comments area. It is easier to find a topic in a search when the # symbol is attached. Attaching it also increases the probability of having it appear on Twitter Trends. 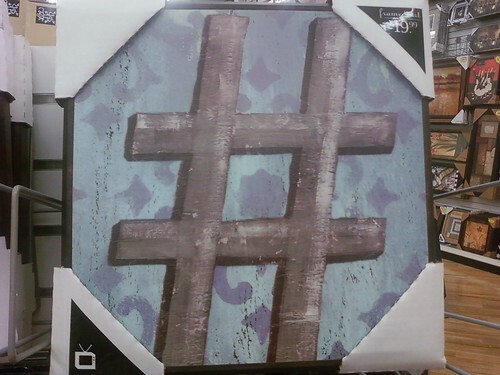 The Hashtag also creates a link to Twitter Search. In general it can allow you to group people talking on a subject via Twiter. A good example is when conducting a chat with various people a chat where I try to join when I have the time is the #hprchat & #Latism chats. You meet great people and they talk about many subjects. If you need share information of current or future events like conferences, emergencies, seminars, or a sale a hashtag should help you in creating interest about the same subject. During the Chile Earthquake I was able to convey information from Puerto Rico to various regions of Chile. We made such great progress our blog on Twitter use @twitpuerto was featured by @foxnews as a reliable source. In the following posts I will go into more detail on how to use hashtags for Business events. I also think that @chrismessina credited with starting hashtags wrote an awesome guide on how to use Twitter hashtags for emergency coordination and disaster relief. I use hashtags the most for monitoring and keeping up to date on some of the efforts I collaborate in. One of the most use hashtags is the #Followfriday ( I mainly track this hashtag on Fridays since I am part of the Followfriday.com Moderators). It can be a useful hashtag if used right. I also stay up to date with the hashtag #Latism since it has provided me with great information and a huge community of contacts outside of Puerto Rico with similar interests to mine. One of the most interesting and fun hashtags I discovered (thanks to my Twitter Friend @karimacatherine) and have used frequently is #USGUYS . If you use #USGUYS at any moment a few individuals like me will probably answer back and little by little people continue to join into the conversation. As a matter of fact use the #USGUYS right now and probability is someone will answer back. I will cover how I use hashtags for business and personal reasons (which in my case are the same) in the next following posts. Speak up Share your thoughts in the comments area and thank you for taking the time to read this post! Did I miss a general use of Hashtags? Feel free to add them along in the comments are?